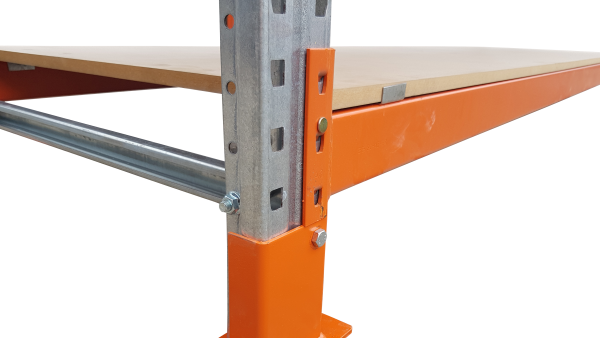 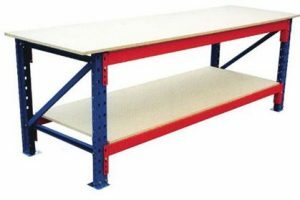 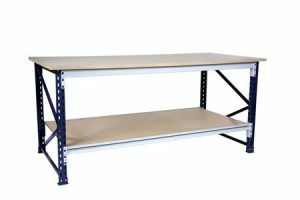 Using Standard quality components such as the ready-made frames & beams of our LS600 Longspan Shelving System we have created a medium duty workbench that is not only extremely cost effective, but also very sturdy with load capacities of up to 500kg UDL with our 25mm MDF workbench tops. These worbenches are available in both mobile & static units & have a wide range of accessories to complement them. 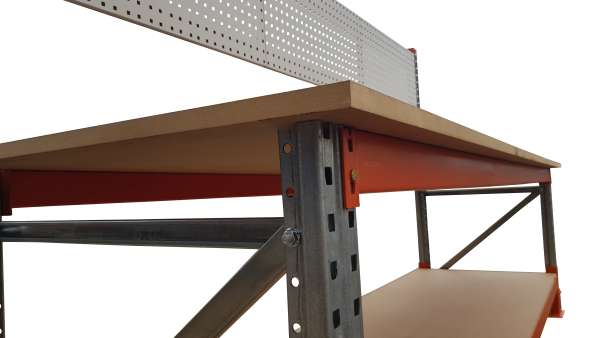 All benches come standard with an adjustable base shelf level. 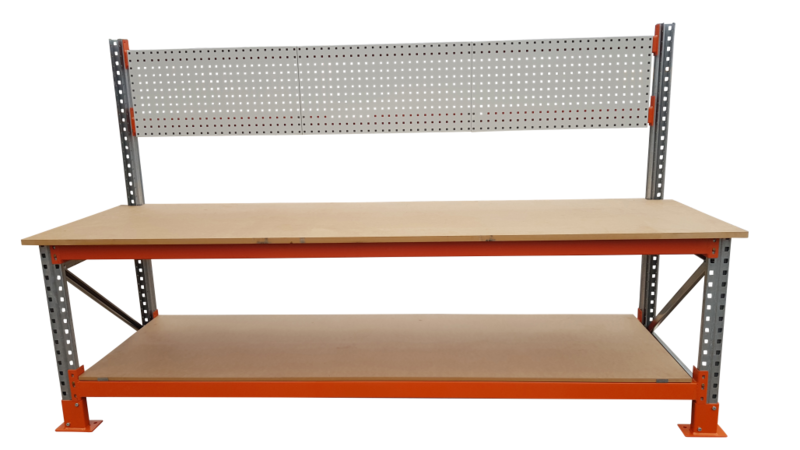 Choose from either square hole hanger board or louvre panel backing. 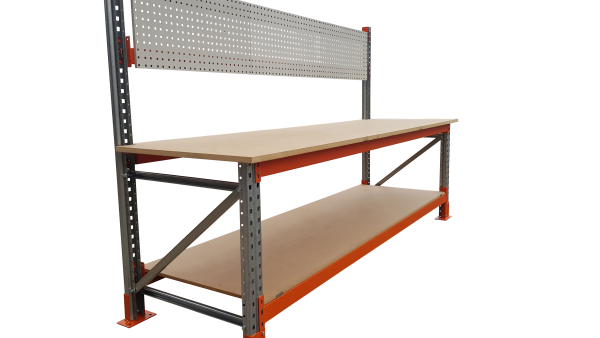 * Custom sizing available – enquire today to discuss your needs. 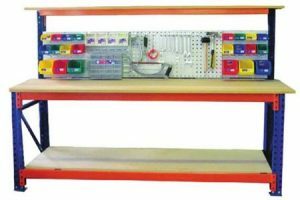 ** Accessories in image are not part of a standard kit; available on request.